Toyota South Africa Motors has announced the 13th annual Toyota Dream Car Art Contest. Entries have officially opened for this year’s instalment and will close on March 1 2019. The contest is a Toyota initiative aimed at encouraging children to explore their creativity and transport their imagination beyond our physical confines. The contest was visualised by Toyota President and CEO Akio Toyoda, who wanted to create a platform to teach children to use the power of dreams and imagination as well as stimulate their interest in cars. The competition is comprised of the National and the World Contest. The National Contest is held in each participating countries till March 2019. 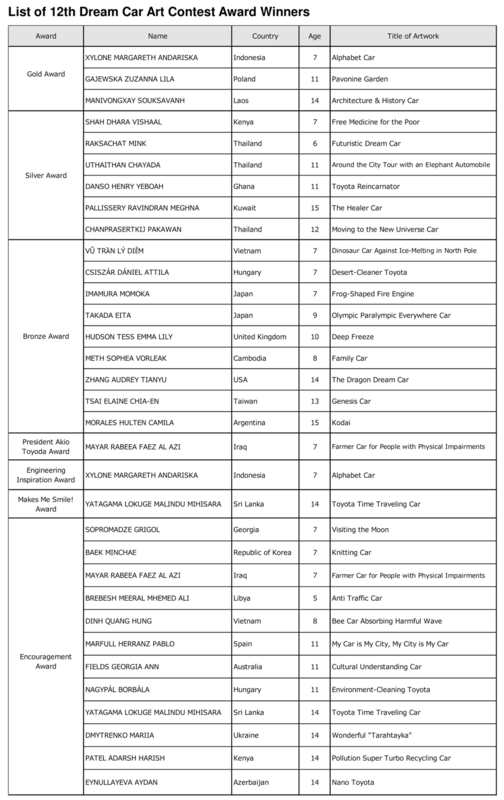 The top five contestants win prizes on a national level and the top three in each category are subsequently entered into the international competition which is judged in Japan with Akio Toyoda. Click here to find out more details about the contest.